Seasoned actress Sylvia Sanchez now only laughs at her past worry that her eldest son Arjo Atayde might grow up to be gay. Sylvia, during a recent blogger’s conference for their upcoming show The Greatest Love, claimed that almost 70 percent of her friends are part of the LGBT community. “Malapit ako sa gays talaga. Totoo ito, si Arjo nung lumalaki, kasi sanay siya na ang kasama ko, best friend ko, gays. Tapos ang kapatid niya, si Ria... babae lahat ng nakakasama,” she began. “So, dumating na... totoo ito, ha, nilalaro ni Arjo, doll. Hindi siya naglalaro ng baril-barilan,” Sylvia continued. Sylvia admits that Arjo’s toy choice made her assume that he might be gay. But Sylvia was quick to clarify that she has no issue if she ended up having a gay son especially since she loves gays. “Pero takot ako magkaroon ng anak na bading. Ang takot ko kasi, ayokong mag-isa ang anak ko,” she revealed. “Suwerte kapag nakahanap siya ng taong magmamahal sa kanya, but what if wala? “Yun yung takot ko, eh,” added Sylvia. In the event that she did have a child who ended up becoming a member of the LGBT community, Sylvia says she would support her child to the best of her abilities. But the seasoned actress eventually realized that her son grew up manly. Arjo is currently part of the Kapamilya primetime TV series FPJ's Ang Probinsyano as Joaquin Tuazon. 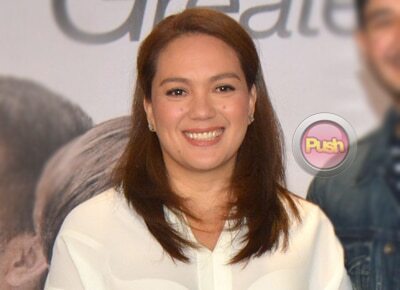 Sylvia plays the role of Gloria, who has a gay son played by Matt Evans, in upcoming ABS-CBN soap The Greatest Love which starts airing Monday.